The Government has approved a major flood prevention project to protect Ho Chi Minh City from losses caused by high tide and disasters related to global climate change. Speaking at a meeting the Ministry of Agriculture and Rural Development held with HCMC officials Friday to discuss measures to reduce flooding in the city, Professor Nguyen Sinh Huy of the city-based Global Physics Institute said global climate change was taking a toll on Viet Nam. HCMC had experienced huge losses when water levels reached 1.48 meters last year, he said, warning it faced the risk of being submerged by 2070 without anti-flooding measures. City officials said different tide control measures were required for the city’s outer (Long Tau and Soai Rap Rivers), middle (Sai Gon and Vam Co Rivers), and inner (interior area) areas. But due to the limited availability of funds, the main focus would be on tide control work in the inner part, they said. The work includes laying a dozen large sewer lines, building 164.3 km of dike of over 2.5 meters height, and restoration of 108.6 km of the city’s main sewer system. The VND7.2 trillion (US$450 million) project is to be divided into three phases. Around VND4 trillion will be spent on the first phase to install six sewage pipes and upgrade the city’s southern sewer network. Once this is completed, the city expects to reduce water levels to one meter from 1.48 meters last year, keeping the central and southern parts free of flooding. The VND2 trillion second phase will see the construction of two sewer lines and other projects to improve the storm drains along the Sai Gon River. The remaining VND1.2 trillion (US$75 million) will be used in the third and final phase to build dikes and four sewer lines to facilitate waterway transportation and establish tight control over water levels in the canal network. 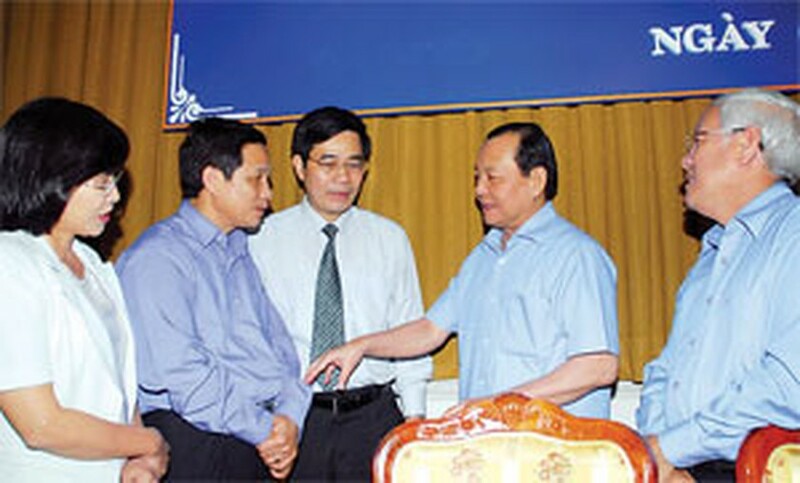 Minister of Agriculture and Rural Development Cao Duc Phat and other senior officials approved the city’s plans but stressed they had to be executed quickly. 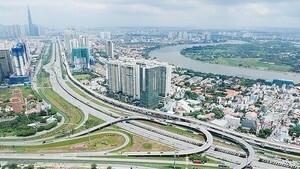 The city’s Party Secretary Le Thanh Hai warned that each step of the project must be carefully considered to avoid unnecessary loss of taxpayers' money.